Lin-Manuel Miranda Celebrates 10th Anniversary of IN THE HEIGHTS! 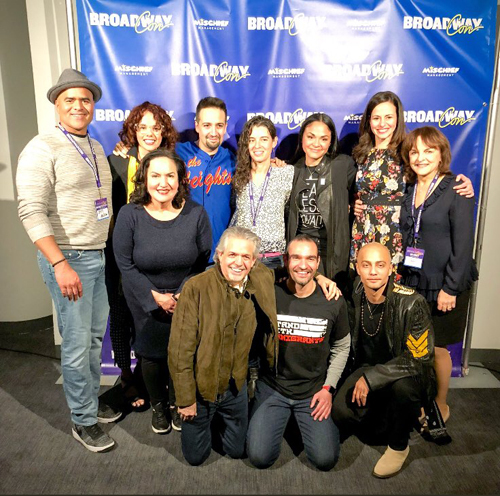 It was lights up on Washington Heights in New York City on Friday, when Lin-Manuel Miranda and other members of the In the Heights Broadway cast gathered to mark the musical’s 10th anniversary. Miranda — who created and starred in the Tony-winning In the Heights before going on to create another little musical called Hamilton — was joined by Heights book writer Quiara A. Hudes and costars including Christopher Jackson (Benny), Karen Olvio (Vanessa), Mandy Gonzalez (Nina), Olga Merediz (Abuela Claudia), and Javier Munoz (original ensemble, Usnavi), for a conversation moderated by Miranda’s father, Luis Miranda, at the third annual BroadwayCon. After the panel, Miranda spoke to EW about a decade of In the Heights, marking the show’s anniversary amid the current political climate around immigration, and which song from Hamilton could head uptown to the Heights. ENTERTAINMENT WEEKLY: How does it feel to be celebrating 10 years of In the Heights? LIN-MANUEL MIRANDA: For me, it’s an anniversary I celebrate every day because Quiara, my co-writer, is my neighbor and her daughter was born — Quiara’s water broke with her first child like, an hour after we froze the show Off-Broadway [laughs]. What’s wonderful is the reunion and actually being back with this cast. We spent so much time together — not just the typical year you spend on Broadway but years workshopping. Janet [Dacal] and Chris have been with this since it started. And so, it felt like family. EW: Do you have any favorite moments or songs that stand out to you from the course of the run? LMM: “Carnaval” is really special. One of the things I was gonna mention [during the panel] but we didn’t have time was “Alabanza.” My grandmother, who was the basis for the character Abuela Claudia, passed away this past Christmas. So it’s weird that I wrote her eulogy many years before she died. But I remember bringing that song in for the first time, and I remember Karen trying to hide her crying, like, “F— you dude! What are you doing to us?” [laughs] in that way that means, “I love you and I love this.” That was always very special to me, that was a moment where we really all got to check in as a company. EW: Where do you think Usnavi would be now, 10 years on? LMM: I think he’d still be there. He’d find a way to make that corner store beloved and celebrated. We just had a similar version of that story — Coogan’s, up in my neighborhood. It’s this neighborhood bar that opened in 1985. They were gonna raise the rent, and we all made a stink – one of rare stories like that that has a happy ending. I think Usnavi would figure out his version of that. 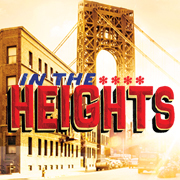 Learn More About In the Heights HERE! Read the complete EW Interview with Lin-Manuel Miranda HERE!